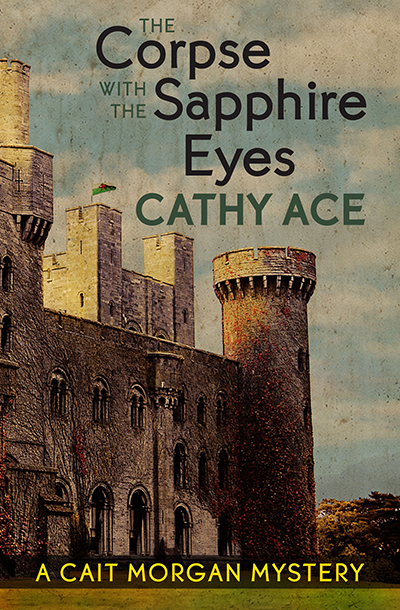 The seventh book in the Cait Morgan series finds the eccentric Welsh criminologist–sleuth accompanying her husband Bud to Amsterdam to try to unravel a puzzling situation. Bud is as surprised to discover he has a long-lost uncle as he is to discover Uncle Jonas has met an untimely death. Bud’s mother assures him Jonas was a bad child—but, from beyond the grave—Uncle Jonas begs his nephew to visit the city he adopted as his home to delve into the life he built for himself there, founded on his passion for art. With an old iron key as their only clue, Cait and Bud travel to Amsterdam to solve the cryptic message left by Jonas, and honour the dying wishes of a long-lost relative. 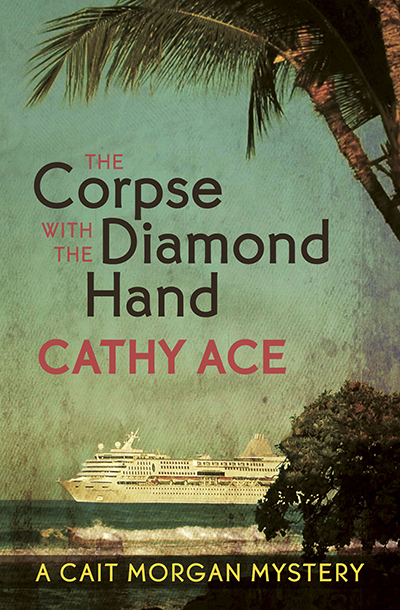 Complete with laugh-out-loud moments and mouth-watering descriptions of the ship’s cuisine, the case of the The Corpse with the Diamond Hand will once again have you marveling at Cait’s cleverness as she brings another murderer to justice. The fifth Cait Morgan mystery will have you stumbling to catch up to Cait’s brilliant mind, and keep you guessing until its shocking conclusion. Welsh Canadian foodie and criminologist Cait Morgan takes off on a short break to the fabulous Tsar! Casino and Hotel in Las Vegas with her significant other, retired cop Bud Anderson. But before they can start celebrating Bud’s birthday in style at the casino owners’ exclusive private dining room, the death of Miss Shirley — a woman with a colorful background and the acknowledged Queen of the Strip — results in a security lockdown. Cait, Bud, a corpse, and ten possible murderers are trapped in the luxurious restaurant for twelve deadly hours. The bodies pile up, the tension mounts, the list of suspects dwindles — and Cait knows she has to work out who within the group is an audacious killer because there’s no telling who might be next to die. 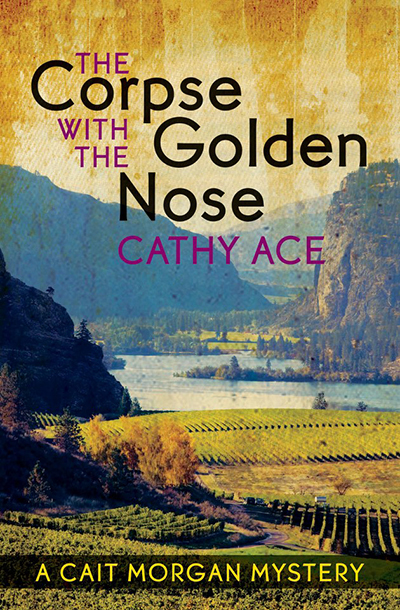 The second book in the Cait Morgan Mysteries, The Corpse with the Golden Nose is a classic whodunit featuring the eccentric Professor Cait Morgan. It has appeared on the BC Bestseller list twice – as BC’s Bestselling work of fiction!